Yesterday, Apple released iOS 4.3.1 for iPhone 4, 3GS, iPad 2, iPad, and iPod touch 4G/3G. If you “accidentally” upgraded to iOS 4.3.1, and now you want to downgrade back to iOS 4.3, iOS 4.2.1 or 4.1, simply follow the instructions posted below to downgrade iOS 4.3.1 on iPhone 4, 3GS, iPod touch, iPad 2 and iPad 1 to iOS 4.3, iOS 4.2.1, 4.1, 4.0.x. This guide is for information and educational purposes only. Use it at your own risk, we cannot be held responsible if anything goes wrong. Download the required old ipsw firmware files. Put your device into DFU mode (not recovery mode). Navigate to the path “c:\windows\system32\drivers\etc\” and open the hosts file in a Notepad or Wordpad. MAC users can navigate to the path “/etc/” and open the hosts file with TextEdit. Now that the Notepad is open Go to folder C:/WINDOWS/system32/drivers/etc and open the file. Open the file hosts with TextEdit, add the following string 74.208.105.171 gs.apple.com and save the file to your desktop. NOTE: For Windows 7 and Vista: Start “Notepad” with Administrator privileges by right clicking on “Notepad” app, and click on “Run as Administrator“ option. NOTE: For Mac OS X: Make sure you have full read and write access on your account when you are saving the host file. If it still throws permission error, simply copy the host file to desktop, make the required changes, and then replace it with the original file in “/etc/” directory. 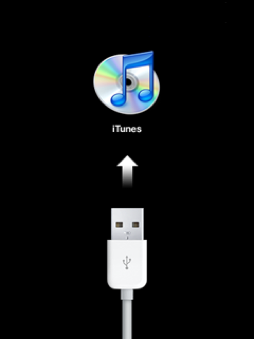 Start iTunes, click on your iOS device icon from the sidebar in iTunes. Now press and hold left “alt” (option) button on Mac, or Left “Shift” button if you are on Windows on the keyboard and then click on “Restore” (Not “Update” or “Check for Update”) button in the iTunes and then release this button. This will make iTunes prompt you to select the location for your iOS 4.3, iOS 4.2.1 or 4.1 firmware file. 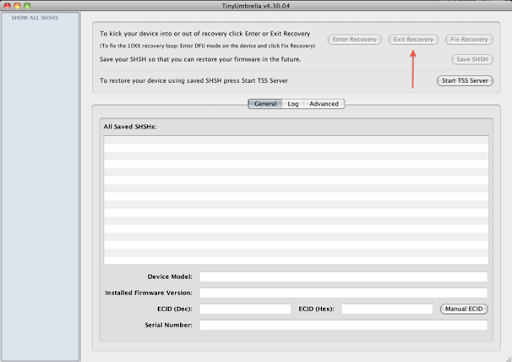 Select the desired ipsw file and click on “Open” to restore your iOS device. Now sit back and enjoy as iTunes does the rest for you. This will involve a series of automated steps. Be patient at this stage and don’t do anything silly. Just wait while iTunes installs the requested firmware on your iOS device. Your device screen at this point will be showing a progress bar indicating installation progress. Once done, it will reboot automatically. That’s it! You successfully downgraded iOS 4.3.1 to iOS 4.3 iOS 4.2.1, 4.1, 4.02, 4.01 firmware. You can follow the normal guides to jailbreak firmware iOS 4.2.1, iOS 4.1, iOS 4.0.2 or 4.0.1.